The U.S. economy grew by 1.0 percent in the fourth quarter of 2015, the Commerce Department announced today, revising its estimate up from 0.7 percent. 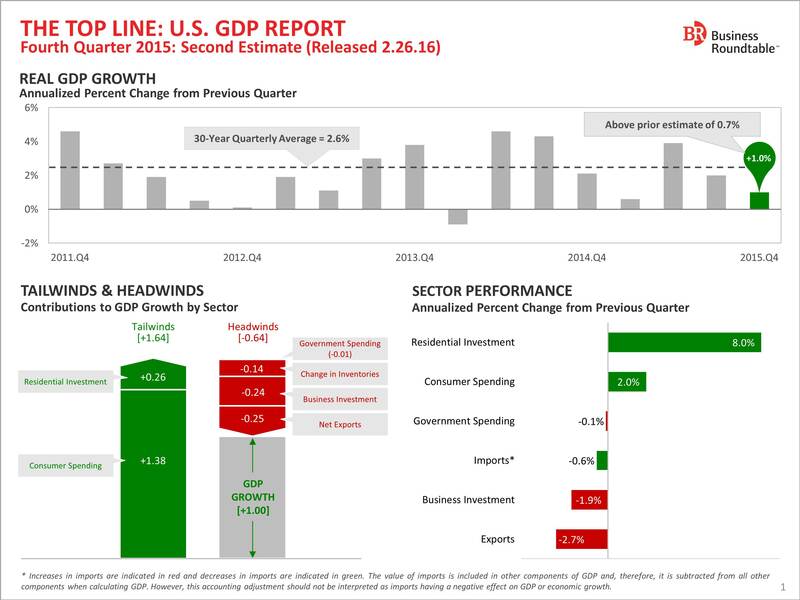 The growth is down from 2 percent in the third quarter. 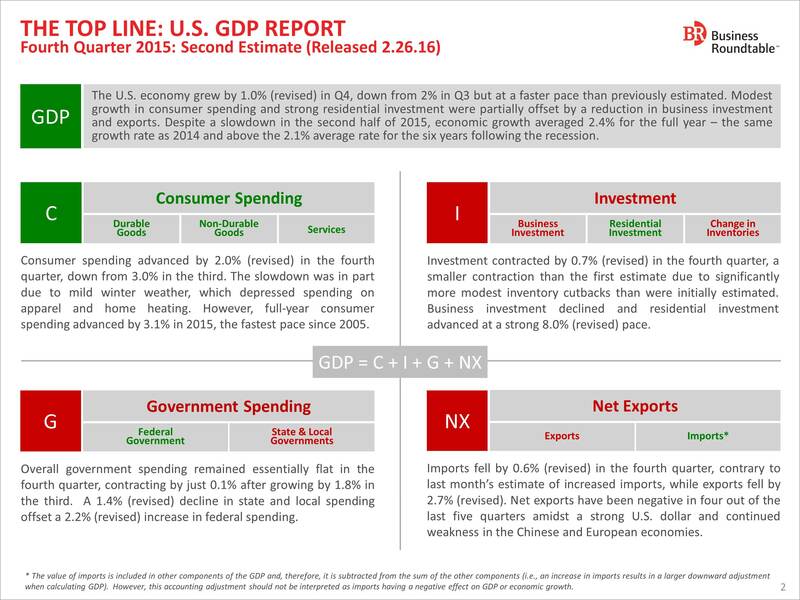 Modest growth in consumer spending and strong residential investment were partially offset by a reduction in business investment and exports. Despite a slowdown in the second half of 2015, economic growth averaged 2.4 percent for the full year – the same growth rate as 2014 and above the 2.1 percent average rate for the six years following the recession.